TURIN, ITALY – March 4, 2011: Fiat continues to set new standards in carbon dioxide reduction, after both the Fiat brand and Fiat Group recorded Europe’s lowest volume weighted CO2 emissions, according to JATO Dynamics, the world's leading automotive consultancy and research firm. Fiat Automobiles logged a CO2 average of just 123.1 g/km (4.7 g/km less than the 2009 average), placing it top of all brands for the fourth year running, and well ahead of the European target of 130 g/km, due to be met in 2015. 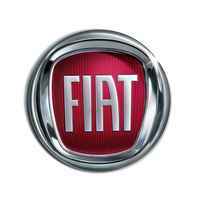 Fiat also ranked first among the motor groups with 125.9 g/km, an improvement of five g/km on last year. The figure takes into account all Fiat’s brands, including the Ferrari supercars and Maserati’s high performance luxury vehicles. This eco-friendly achievement is the result of a long-term Fiat strategy based on a two-pronged approach: implementing technological solutions aimed at containing consumption and emissions, and raising the awareness of motorists to spur a more responsible, eco-compatible use of their cars. Fiat’s MultiAir, MultiJet and TwinAir engines are all part of that strategy, along with initiatives such as alternative fuels (CNG Natural Power and LPG Easy Power), Start&Stop; electronic gearshift management (Dualogic robotised transmission), electronic traction management (Traction Plus) and Fiat’s eco:Drive, the in-car software which analyses driver behaviour and suggests ways to improve it.